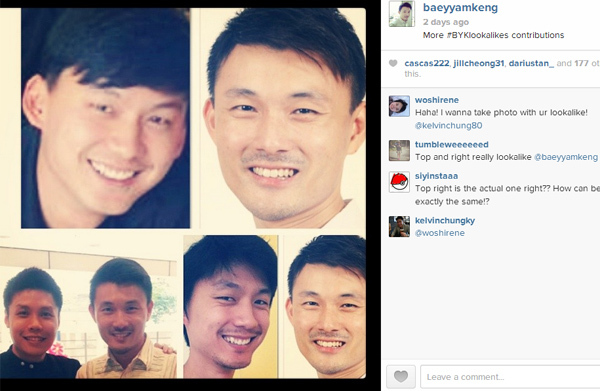 ME, ME, ME: A collage of #BYKlookalikes that Mr Baey Yam Keng posted on Instagram. What do you do when you're accused of narcissism because of your fondness for selfies? You take it to next level! You Instagram not just photos of yourself, but also photos of people who look like you. And that is exactly what my man-crush and Member of Parliament for Tampines GRC Baey Yam Keng did. It started two Fridays ago when he posted a photo of himself next to a photo of someone who looks like him with the comment: "Someone sent me a photo of 'me'. Can you tell which is the real me?" 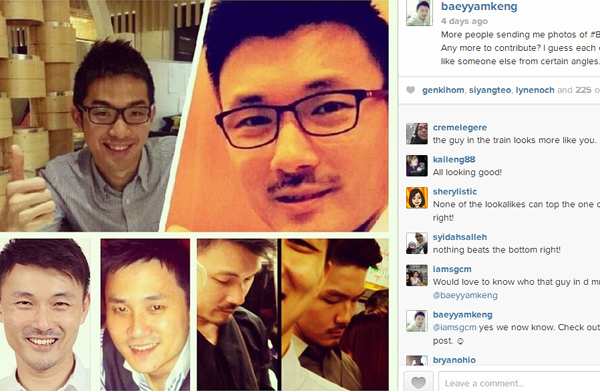 The next day, Mr Baey posted a collage of more doppelgangers and introduced a new hashtag: "More people sending me photos of #BYKlookalikes. Any more to contribute? I guess each of us can look like someone else from certain angles." Another collage of #BYKlookalikes was posted on Monday and then... it stopped. No more #BYKlookalikes on Instagram. I was disappointed. Who doesn't want to see more guys resembling the person I once nominated as the Sexiest Man Alive? But what also irked me was that a couple of the supposed lookalikes didn't look like Mr Baey at all. Heck, even I look more like the former managing director of Hill+Knowlton Strategies. I credit my facial hair. To keep the hashtag alive, I tried to recreate photos of Mr Baey but with me in my room instead and then share them on Instagram with the hashtag #BYKlookalikes. This article was published on April 20 in The New Paper. 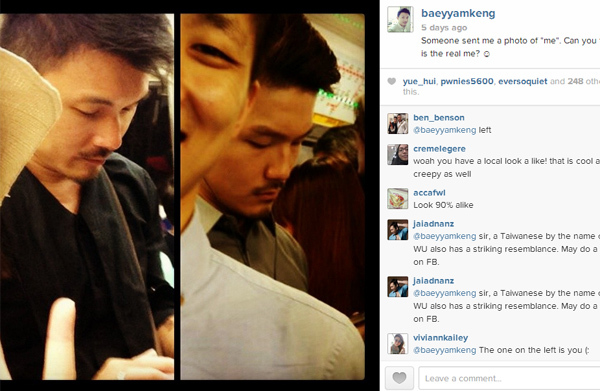 Mr Baey then decided to post the image, alongside an image of himself, on his Instagram and Facebook accounts. Mr Baey also asked for more submissions of images of his doppelgangers, and has posted two more sets of collages on his social media platforms with the hashtag #BYKlookalikes. On Friday, Mr Baey received an image from a fan who had snapped a photo of an unsuspecting individual on the train who bore an uncanny resemblance to the 43-year-old MP.